Following the recent Parliamentary Colloquium entitled “Captive Lion Breeding for Hunting in South Africa: Harming or Promoting the Conservation Image of the Country”, the Parliamentary Portfolio Committee on Environment Affairs has released their report calling for a ban on captive lion breeding in South Africa. Blood Lions commends the Hon. Mr. Mapulane and members of the Portfolio Committee on Environment on the findings and resolutions of this comprehensive 24-page report. There is little doubt that the captive lion breeding industry has attracted extensive international criticism, and that it has had a deleterious impact on South Africa’s conservation and tourism reputation. The colloquium was attended by Blood Lions together with a number of leading conservation groups and scientists from across the globe. 1) Department of Environmental Affairs to urgently initiate a policy and legislative review of the Captive Breeding of lions for hunting and the lion bone trade with a view to putting an end to this practice. 2) Department of Environmental Affairs to conduct an audit of the captive lion breeding facilities throughout the country, including those offering private lion and cheetah cub petting and/or walking activities. 3) Department of Environmental Affairs and Department of Agriculture Forestry and Fisheries to present a clear programme of work on how they intend to address the badly neglected animal welfare and health issues which were raised during the colloquium. 4) The agreement between the Kruger National Park and Association of Private Nature Reserves (APNR) concluded in 1996, should be revised to ensure that there is sharing of benefits, arising from the collapse of the fences in the western boundary of the Kruger National Park in the interest of the broader society. 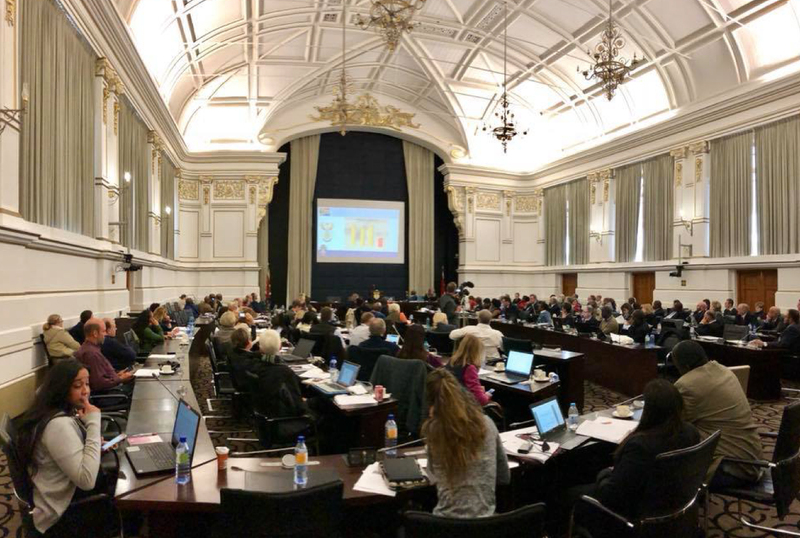 5) The Department of Environmental Affairs should reconsider their decision earlier this year to increase the lion bone trade quota from 800 to 1 500 lion skeletons, as it was purportedly based on the Interim Report of the Scientific Authority, which report it emerged during the colloquium, was informed by commercial considerations, as opposed to science. Please note that we will be going Live on Facebook on 15 November at noon with Blood Lions producer, Pippa Hankinson.